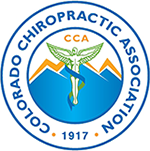 The mission of the Colorado Chiropractic Association is to protect, promote, and expand the ethical and professional practice of chiropractic in the state of Colorado. The mission of the Grand Junction Area Chamber of Commerce is to represent business and promote a vision of economic growth. Zero Balancing is a powerful touch therapy for body and mind. Deeply relaxing & energizing, ZB touches at the level of bone. TeamCME is the largest network of DOT Medical Examiners in the US. Their mission is to provide consistent, ethical, reliable, cost-effective and respected DOT medical exams where the same physical examination procedure and certification decision criteria is used in determining medical certification status from coast to coast. SelectNet, Pinnacol Assurance's occupational health network, provides quality care for workers injured on the job. SelectNet is comprised of primary care physicians, specialists, rehabilitation service providers, ancillary medical providers and hospitals located throughout Colorado.